There are strange sea creatures known as "sea pickles" invading the Pacific Northwest. These gelatinous and somewhat translucent organisms, called pyrosomes, have been seen congregating, sometimes by the thousands, close to shore from Northern California up to southeast Alaska - clogging fishing nets and washing up on beaches, according to the National Oceanic and Atmospheric Administration. Experts say that this year, the critters are appearing in very high numbers outside the normal range of the species. "Pyrosomes are pelagic Tunicates, which are part of Chordata, a phylum that includes humans. It is tough and slimy to the touch with small, pronounced bumps. Inside the wall of this gelatinous tube, which can get up to 60 cm, individual zooids are tightly packed together. These zooids have an incurrent and excurrent siphon and use cilia to pump water for feeding, respiration and movement. Using a mucus net, they filter water for small planktonic microorganisms. 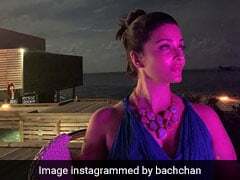 "Pyrosomes are known to aggregate in large clusters at the surface and the zooids bioluminesce to create beautiful light displays." Ric Brodeur, a research biologist at the NOAA's Northwest Fisheries Science Center in Newport, Oregon, said that beachcombers in Oregon have been walking the beaches there for decades, but he has started getting reports of pyrosomes washing up on the beaches only in the past few months. He has also been going to sea on research cruises since the 1980s and saw his first pyrosome only in 2014. He believes the high abundance is related to unusually warm ocean conditions along the coast that resembles pyrosomes' normal habitat. "We'll have to wait to see how it goes, but certainly, it's not a good sign for the ecosystem to have these critters out there instead of the normal fish and crustacean prey most fish, birds and mammals off our coast are accustomed to," he said. 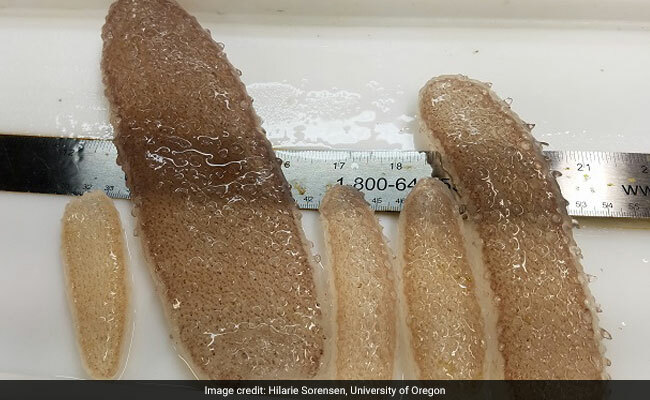 During research cruises in February and May, pyrosomes - some more than two feet long - were seen in the highest number 40 to 200 miles off the Oregon Coast. "A five-minute midwater tow of a research net off the Columbia River in late May brought up approximately 60,000 pyrosomes," NOAA's Northwest Fisheries Science Center said in a blog post. "Scientists spent hours sorting through the massive catch to find the rare fish they were targeting."